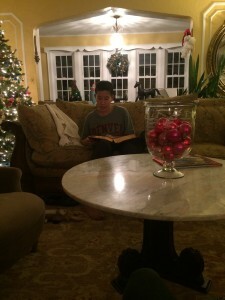 Here I am reading The Bible with my family celebrating this Christmas Eve tradition. I am also remembering all who Serve Our Nation and cannot be with their families this Christmas. Please think about them as you celebrate with your family.